Travis and I are doing Whole30 once again and I wanted to try to make some snacks for us instead of buying everything. 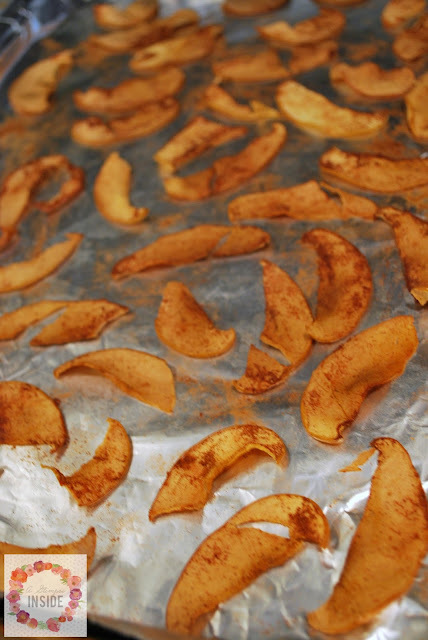 I decided to try my hand at making Baked Apple Chips and they were great. So great in fact that they didn't last 15 minutes once Travis and the girls got their hands on them. They were really easy to make but they do take a bit of time so plan on making these when you have zero plans for the day. 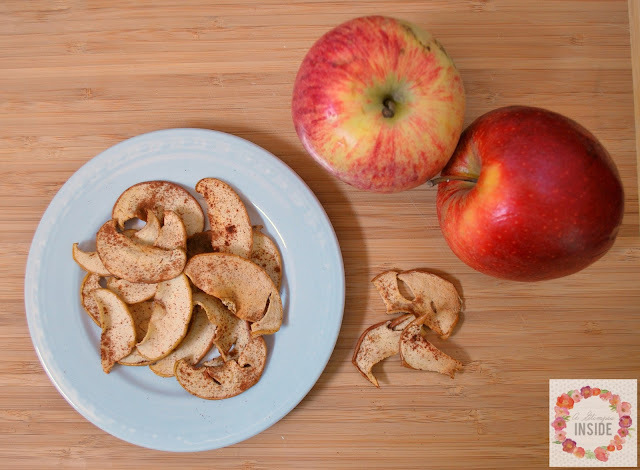 Start by coring the apple or just slicing it around the core. 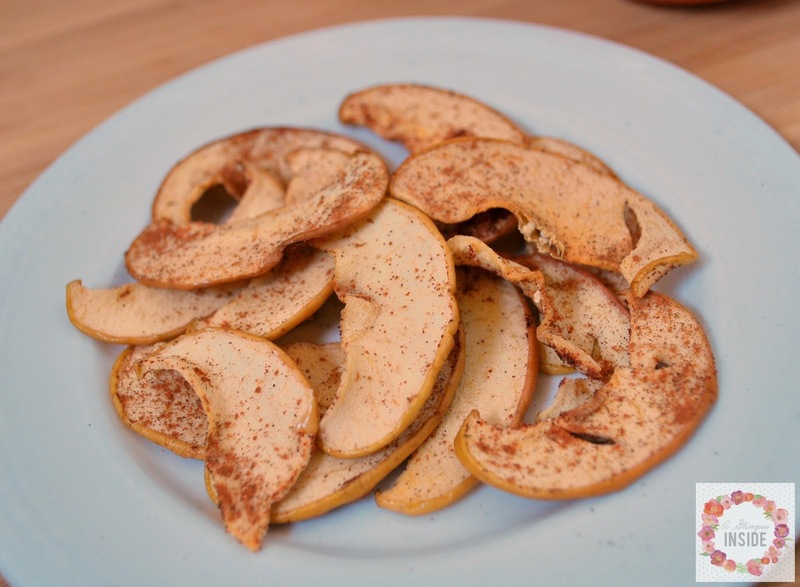 I then used my mandolin slicer to thinly slice my apples, with skin on. If you don't have a mandolin, just try to cut your apple as thinly as possible. 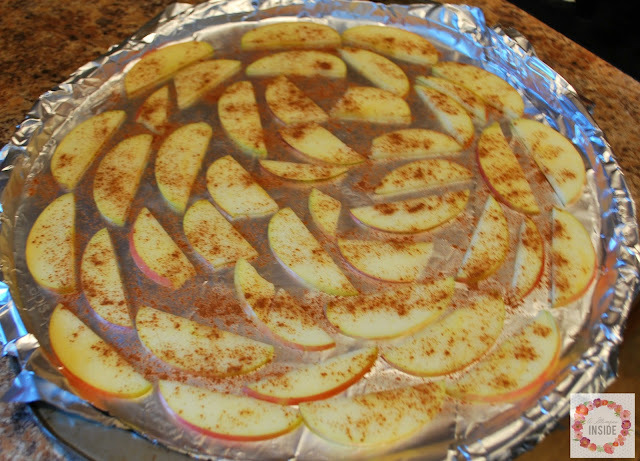 Spread the slices out on a cookie sheet and sprinkle with cinnamon. 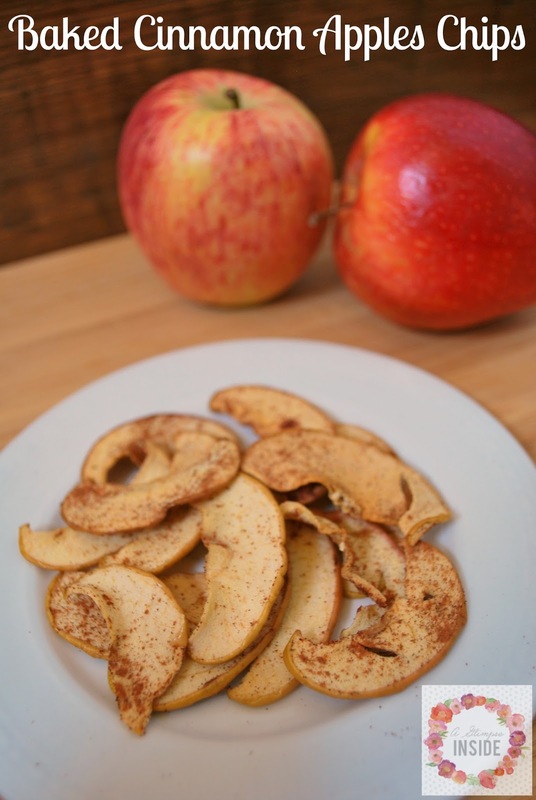 Don't like cinnamon, no worries! They are still good without it! Place in the oven and bake for 30-45 mins. 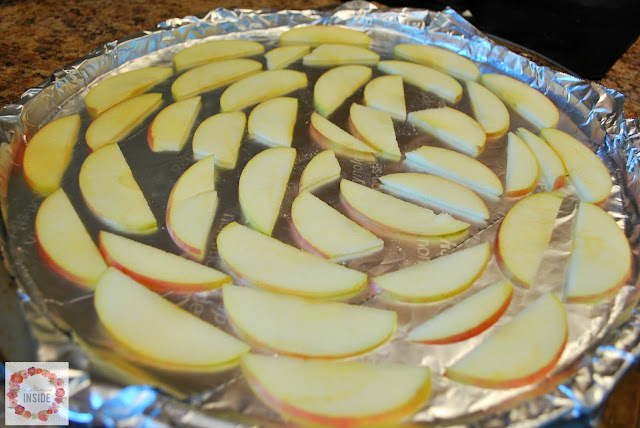 Pull out and flip each slice over. If you like you can sprinkle more cinnamon and then place them back in the oven for another 30-45 mins. Some chips will be crispy and some are still a little softer but they are all delicious! 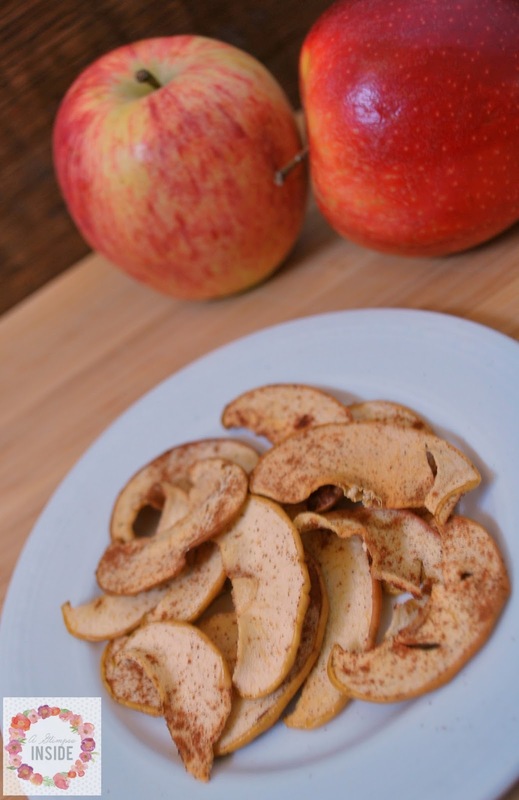 I cut and baked 3 apples but they do shrink down a good amount so next time I will definitely plan on using more apples. Travis keeps begging me to make more.